All applications received will be considered by the Planning Authority to determine their validity in accordance with Planning and Development Regulations 2001. Any application pending validation listed hereunder, and subsequently declared to be invalid, will be detailed in the DECISIONS SECTION of the Weekly List in a subsequent publication. Proposal: Permission for the following: proposed demolition of single storey structure to the rear of existing 2 storey previously used commercial/residential unit, and proposed construction – refurbishment to comprise of 3 number 3 storey residential units with open space amenity area at roof level, and 1 number 2 storey residential unit with open space amenity area at roof level, removal and replacing front elevation onto Dolphin’s Barn Street, all with associated works. Proposal: Planning Permission is sought to omit Condition 20(b) of ABP Reg. Ref. PL29S.244805 (Dublin City Council Reg. Ref. 3475/14). Condition 20(b) requires the internal courtyard within the permitted Student Accommodation development be publicly accessible during daylight hours. It is proposed to omit Condition 20(b) to restrict the use of the internal courtyard to the residents only by controlling access through the permitted gates at all times. Proposal: PERMISSION & RETENTION: The development will consist of the proposed construction of new single storey kitchen extension to rear of existing dwelling. New boundary wall and pillars to reduce width of existing driveway to existing dwelling. Retention and amendment to existing vehicular access to existing house and new vehicular access to proposed house. Permission is sought for construction of new detached two storey 3-bedroom dwelling to side garden of existing dwelling. Porch extension to front. Study/storage space proposed to attic space of new dwelling. Also new vehicular entrance, driveway, new boundary walls, separation of front and rear gardens and all other ancillary site works included in application. Proposal: Planning Permission for modifications to previously approved mixed use retail and apartment development (Ref. 5278/08/x1, 2640/18 and 3602/18 comprising (i) change of use of commercial unit 1 to a 2 bedroom dual aspect apartment (ii) change of use of commercial unit 2 to a 1 bedroom dual aspect apartment (iii) extension of the ground floor to the rear to accommodate the two apartments (iv) amendments to ground floor undercroft car park. Proposal: The removal of an existing storage unit for the construction of a 2-storey apartment with balcony and garage, a storage unit to be used by the existing apartment and all related works. The proposed development will be accessible from Ardagh Road. Proposal: The development will consist of: Alterations to existing front garden wall and creation of new vehicular entrance 3.5m wide with off-street parking space, new gates and all associated site, landscaping works and services. 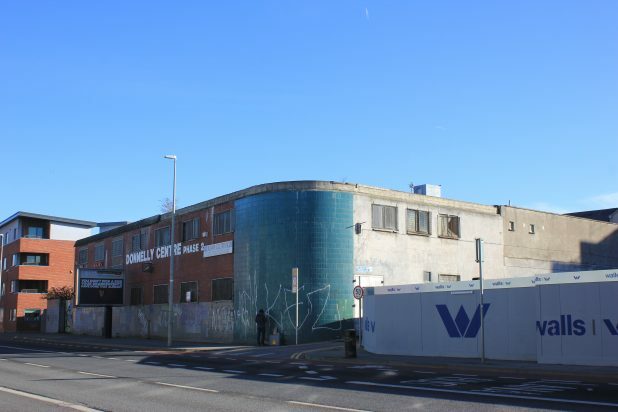 Proposal: Planning permission for the development at this site: 94 Lourdes Rd., Maryland, Dublin 8, D08 XOA5. The development will consist of the construction of front flat roof porch, part two storey rear extension with no. 2 roof-lights; part single storey mono-pitched rear extension complete with canopy and no. 1 flat roof skylight, addition of no. 2 roof-lights to the existing rear roof and all associated ancillary site works. Proposal: Planning permission for the construction of a single storey extension of a two storey terraced house to facilitate ancillary family accommodation. The proposed development will consist of an extension to the rear along the north rear site boundary and will include a single storey link along the east boundary connecting to the main house. The proposed extension measures 43 m2 and is part flat roofed and part mono pitch roofed in form. The development also consists of a private courtyard to the rear of the extension along the north rear site boundary and west boundary accessed via the rear extensions bedroom and living/dining area. This courtyard will supplement the existing shared garden space between the proposed extension and the main house (total gross house area including existing house and proposed extension is 125m2). The proposed development will also consist of the demolition of an existing external shed and all associated site, drainage and landscaping works. 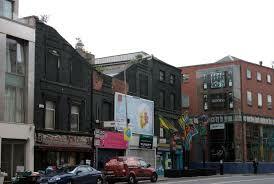 Proposal: RETENTION: The development consists of an art studio at the rear of the property. e) All associated site works. Proposal: A single storey extension to the rear and side of an existing dwelling and all associated siteworks. Proposal: RETENTION: Retention of existing single storey rear extension (7.56sqm) and retention of modifications to side elevation relating to omission of 3 permitted side windows and all associated site works. Proposal: EXPP: New access door to single storey extension to side of existing dweling house. Proposal: Planning permission for the demolition of the existing workshop to the side of 1 Pimlico, Dublin 8 and construction of 2 No. new two storey two bedroom terraced and end of terrace dwellings respectively. The proposal includes new inward opening gates to the existing courtyard to replace existing gates and two new pedestrian entrances to the houses from the existing footpath. The proposal also includes roof lights to houses and new boundary treatments and ancillary and associated works. Applicant Lansdowne Valley Management Clg. Proposal: The development will consist of alterations to all main facades to the apartment blocks comprising replacing the existing defective timber cladding with a dry dash render finish. Proposal: Permission is sought for conversion of the original 2 bed live/work unit unit at No 14, Earls Court Rueben Street Dublin 8 to 2 self – contained apartments consisting 1 x 2 bed apt. with increased balcony area and window sizes to rear – noted as No 14, Earls Court, Reuben Street D8 and 1 x 1bed apt. with increased balcony area – noted as No. 14A Earls Court, Reuben Street, D8. Proposal: Permission sought for the change of use of existing commercial unit at ground floor to a one bed residential apartment with an extension (7m2) to the proposed bedroom to the rear, and ancillary site works. Proposal: Two storey extension to the side and rear of the end of terrace. First floor to consist of a kitchen and dining room. First floor to consist of two bedrooms. A dormer windows to the rear. Proposal: The development consisting of: (i) demolition of all existing out-buildings on site; (ii) removal of two-storey rear return extensions and renovation of existing dwelling at No. 89 Cromwellsfort Road; (iii) construction of 12 no. infill houses with car parking and private rear gardens (comprising 2 no. two-storey, semi-detached 3-bed; 2 no. two-storey (with additional attic level bedroom), semi-detached 3-bed; and 8 no. two storey (with additional attic level bedroom) terraced 3-bed); (iv) upgrade works to the site boundaries and vehicular access from Cromwellsfort Road with access to proposed House Nos. 1-3 provided via existing lane located between No. 30 Bigger Road and No. 34 Bigger Road ; (v) installation of street lighting; (vi) surface water and foul drainage; (vii) all associated landscaping and ancillary site works necessary to facilitate the development.